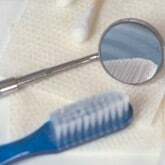 At DentalPlans.com, we make it simple for you to save money on Periodontics and more at a Kansas City dentist. Simply type in your ZIP code to find a money-saving discount dental plan and participating dental care providers in Kansas City, MO. Decide on the right plan for your needs and save 10% to 60% on your dental care bills at dentists such as Dr. Daniel J Thomas. Then, just go see Dr. Daniel J Thomas or any other participating dentist in Kansas City, MO to enjoy savings on Periodontics according to your plan's fee schedule. We feature more than 30 discount dental plans that offer great discounts on Periodontics and other dental care treatments. By searching our large dentist directory, you can find over a hundred thousand participating dentists listings in combined networks such as orthodontists, endodontists, pedodontists, and more. So if you are looking to save money on braces or cosmetic dentistry treatments like teeth whitening, bonding, and veneers, we feature a wide selection of many dental care specialists and dentists in Kansas City, MO.